As pranks go, it’s a strange and kind of mean one, especially to burger lovers. After a Tulsa Whataburger was torn down after tornado damage, someone put up a sign announcing a new In-N-Out burger in the same spot. But, as with previous schemes before it, that promise turned out to be a crock of cold fries. 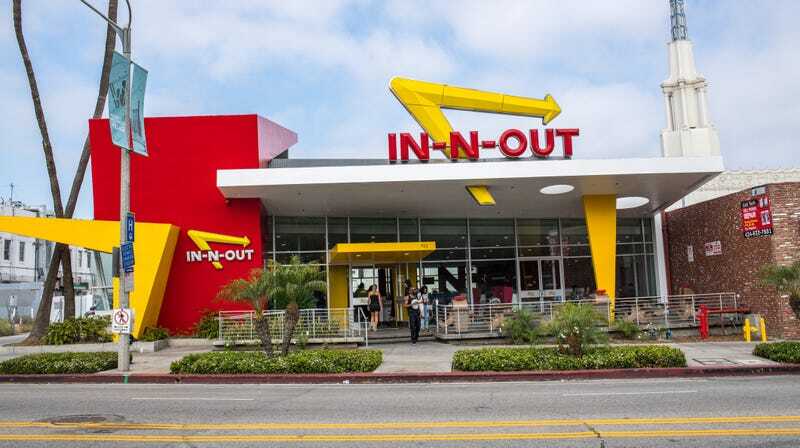 As Tulsa World reports, Carl Arena, In-N-Out’s vice president of real estate and development said in a statement: “We just became aware of the rumors about In-N-Out Burger coming to Tulsa and unfortunately they are not true… We grow pretty slowly here at In-N-Out and, while we are always looking for new opportunities and potential locations, we are not currently pursuing anything in Tulsa.” Currently, In-N-Outs exist in California, Arizona, Nevada, Utah, Texas, and Oregon, and its president, Lynsi Snyder, told Forbes, “I don’t see us stretched across the whole U.S. I don’t see us in every state.” Including Oklahoma, apparently. Previous locations have been pranked by similar signs, and to what end? Fool me once, shame on you, fool me 17 times, we will never take an “In-N-Out Coming Soon” announcement at face value ever again (sorry, all you disappointed folks in Tulsa). I mean, just the cost of producing that banner! Surely, there must be more entertaining pranks for these troublemakers to latch onto. Calling random people up and asking them if their refrigerator is running, stuff like that.